Handal Indah Sdn Bhd recently spearheaded an educational program for to the students of Fairview International School on the 4th of March 2019 as part of the community engagement activity of the company in educating public and private schools about Public Transportation system. According to Ms Anna Mary Steven, teacher from Fairview International School: “the said event was meaningful and fruitful as the students learnt much useful information about the system in a bus terminal and also the way on how a public bus operates as none of them have ever travelled in a public bus before”. Staff from Handal Indah Sdn Bhd initiated to talk about the general perspective of public transport, the safety requirements as well as the general prohibited signs and elements used inside a bus for the students to understand whenever they will be using public transport in the future. The company conducted a session with the student by giving them coins to pay their bus fare to collect their won tickets with the bus captain boarding the bus. The bus took the students to Taman Daya, and Adda Heights, Johor to explain the important elements on the road that is significant for public transport. These include traffic lights, crossroads, bus stops, and other public transport systems such as taxi, grab, chartered bus, express bus, etc. Ms Agnes Tan Poh Yoh, Operations Admin Head and Sonny Cosme from Marketing Team facilitated the said event and manage to explain the basic information stated in the ticket so that the Children will understand the importance of public transport system in the community. A total of 23 students aged 6-7 years old with two teachers attended the said session with the students. A total of 253 Fanpekka Admission tickets were distributed by the Company to the parents and children of Hospital Sultan Ismail (HSI) Palliative Paediatric Care Unit and Perbutuhan Kebajikan Shan De Johor Bahru (PKSDJB) in conjunction with Handal Indah Sdn Bhd (HISB) 2018 Community Outreach Programmes on 14th and 29th November 2018 respectively. Handal Indah Sdn Bhd popularly known as Causeway Link shares smiles to the children of Yayasan Kebajikan Anak-anak Yatim Al-Husna during the Corporate Social Responsibility (CSR) organized by Care Luxury CARES at Tunamaya Beach & Spa Resort Desaru Coast. Causeway Link treated the transportation service of 85 children aged between 10 to 17 years old to attend the Ramadan Buffet prepared by the hotel on the 28th May 2018. 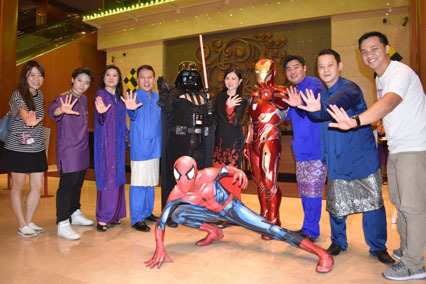 Right after the Ramadan Buffet, the atmosphere at the Tunamaya II boosted up with the cosplay appearance of famous Marvel's Spiderman and Ironman, Disney's Elsa from Frozen, DC Comic's Batman, and Robocop which were generously orchestrated by Apizzero Cosplay to bring smiles to children. "Let's not forget to those in need especially during this Ramadan season. We believe that in this holy month, extending our helping hand would make someone's day and today, it belongs to these children from Yayasan Kebajikan Anak-anak Yatim Al-Husna," said Tunamaya Beach & Spa Resort Desaru Coast's General Manager, Mr. Kenneth Aloysius Perreau in his speech. The Management of Tunamaya Beach & Spa Resort Desaru Coast also gave ‘Duit Raya' packets to the children right after the Ramadan Buffet. Yayasan Kebajikan Anak-anak Yatim Al-Husna is located at Jalan Dato' Jaafar 6, Bandar Penawar, Johor. The place is about 90 kilometers away from Tunamaya Beach & Spa Resort Desaru Coast. Handal Indah Sdn Bhd (HISB) waved the bus chartering services to the children from the two charity groups that was treated by Granada Hotel Johor Bahru for a breaking-of-fast (Buka Puasa) on 25th May 2018. The said event was held at the Olla Restaurant of Hotel Granada Johor Bahru in regards to the annual Corporate Social Responsibility Programme of Care Luxury Cares @ Hotel Granada Johor Bahru. The children enjoyed the Ramadan Buffet including the appearances of the famous Marvel’s characters Spider Man and Iron Man including Darth Vader from the Star Wars. 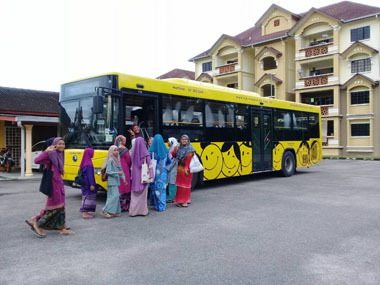 A total of eighty-one (81) children and five (5) guardians from Pertubuhan Sosial dan Kebajikan Sari Saujana and Rumah Anak Yatim Raudhatul Maryam were brought at the event venue with three Causeway Link Buses. The three buses were maneuverer by En. Razali Bin Abdul Rahim, En. Zulsapri B Masir and En. Burhanudin B Mokdas. Other highlights of the event include the giving of Duit Raya by the Hotel Granada Group through Ms Jeslin Chong (Group Chief Operating Officer) and the giving of Certification of Appreciation to HISB through Ms Lim Chern Fang, Operations and Marketing Director- Handal Indah Group of Companies (HIGC). Handal Indah Sdn Bhd under the branding of Causeway Link: The Smiling Bus organized a Corporate Social Responsibility (CSR) programme on the 21st of November 2016 at Sanrio Hello Kitty and Thomas Town (SHKTT) Puteri Harbour with a theme “Togetherness in Sharing Happiness”. This CSR programme aimed to promote employees’ proactive contributions to Society and as part of Handal Group of Companies’ corporate endeavours. 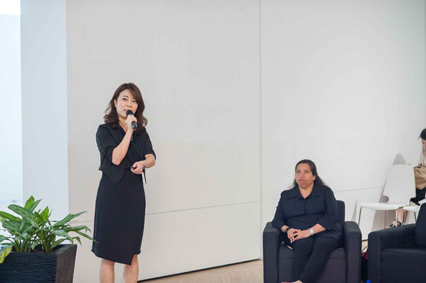 Ms Lim Chern Fang, Director of Operations and Marketing Department said that “as part of the Company’s slogan “the smiling bus”, we want to bring as much smiles as we can to the children”. She also added: “we should be feeling grateful and fortunate to have this opportunity to extend our love, care, and concern to the less fortunate ones in our society when we can. The children was really excited as it was their first time in the theme park. 2. Persatuan Penjagaan Kanak- Kanak Terencat Akal Johor Bahru from Kulai, Johor which is currently taking care of 220 kids with special needs. Most of the kids under this organization are children with severely visually impaired, mentally and physically challenged, paralytic, Down’s syndrome, spastic, hyperactive, cerebral palsy, autistic, mute, and simply abandoned children. The home accepts children from all races and all religions. Handal Group of Companies (HGC) brought a total of 105 children and staff from these two organization including staff volunteers from HGC to SHKTT theme park. On this event, HGC donated a total of RM25, 000 to finance the admission tickets of the children and staff from these two organizations. The said budget was also inclusive of the payments for the exclusive SHKTT entertainment fee, meals, goody bags, and transportation for the guests to and from their places to SHKTT theme park. A total of RM4, 000 cash was also contributed by the staff and Management of HGC to donate to these two charity group (RM 2000 per organization). HGC through the representation of Ms Lim Chern Fang and Mohammad Ramli Bin Mohamad, General Manager for Causeway Link Holidays delivered the surprised presents coming from the staff of HGC which includes Handal Indah Sdn Bhd, Handal Ceria Sdn Bhd, Triton, Liannex Corporation, Hipgraphy Sdn Bhd and Causeway Link Holidays. 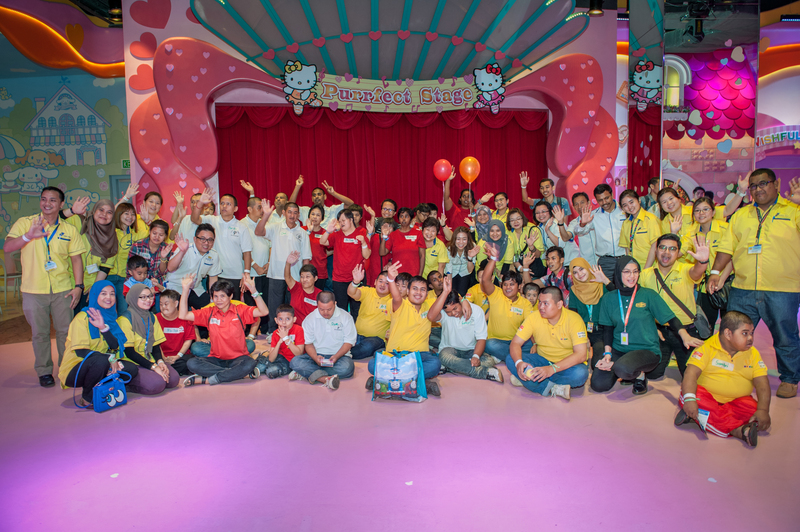 According to Nino, a Physiotherapist from the Handicapped and Mentally Disabled Children Association Johor Bahru, he was very delighted as his patients was very happy to explore and enjoy the famous Sanrio Hello Kitty and Thomas Town in Malaysia. “This is also a good way for them to be exposed and mingle with the public”, he also added. “I am very happy as Causeway Link Staff and Management were able to help us in bringing these patients from our premises for a new environment for them to enjoy. Thank you so much”, commented by Nino. Causeway Link Holidays participated Taste Fully Food and Beverage Expo 2016 at the Persada Johor International Convention Centre on the 26th to 28th of August 2016. The Marketing team highlighted three major products of Causeway link namely ManjaLink, Bus Pass, and its newest transport mobile app partner- HUGO. Causeway Link booth also featured the famous "Darts of Fortune", lucky draws and offers big discounts on Theme park tickets and original Hello Kitty merchandises. 6-8 May 2016: Causeway Link Holiday showcased Family Fun adventures during the Star Fit for Life Roadshow at Persada Johor International Convention Centre, Johor Bahru. 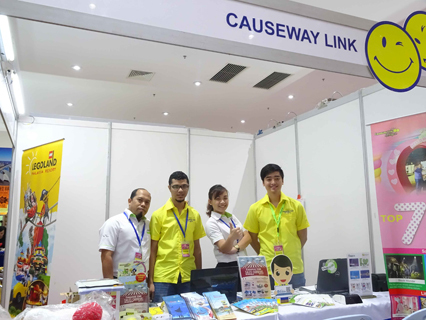 4-5 & 10-11 June 2016: Causeway Link products and services were promoted during the "School's Out! Fun is In" weekend school holiday promotion at KSL City Mall ManjaLink counter and at the International Merchandising Mart Mall (IMM) Singapore. The said event featured exclusive discounts on selected theme park admission tickets and other merchandizes. 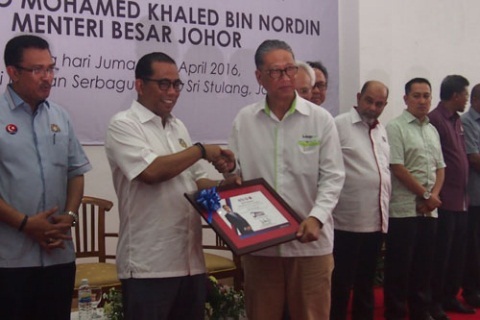 Handal Indah Sdn Bhd received a Plaque of Recognition from the Menteri Besar of Johor Bahru Dato’ Mohamed Khaled Bin Nordin during the launching of the Bus Muafakat Service for its contribution to the development of the Muafakat card and bus ticketing validator system. Other high profile guest who attended the event includes: Tan Sri Datuk Seri Syed Hamid Bin Syed Jaafar Albar (SPAD Director), Tuan Haji Abdul Rahim Bin Nin (MBJB Mayor), Tuan Haji Roslan Bin Abu Bakar (Handal Ceria Sdn Bhd Director), Mr Lim Han Weng (Handal Indah Sdn Bhd Managing Director). 16 Mar 2016: Causeway Link held a press conference in Mall of Medini titled "Causeway Link - Enhancing Johor Bahru Public Transport". Features high-profile guests such as Dato Tee Siew Keong (Johor State Tourism, Domestic Trade & Consumerism Executive Council Chairman), Ms Magdlane Tuborng Melai (Director, Ministry of Tourism & Culture Malaysia) and Encik Azman Yahya (Senior Vice President Pengangkutan Awam Johor). 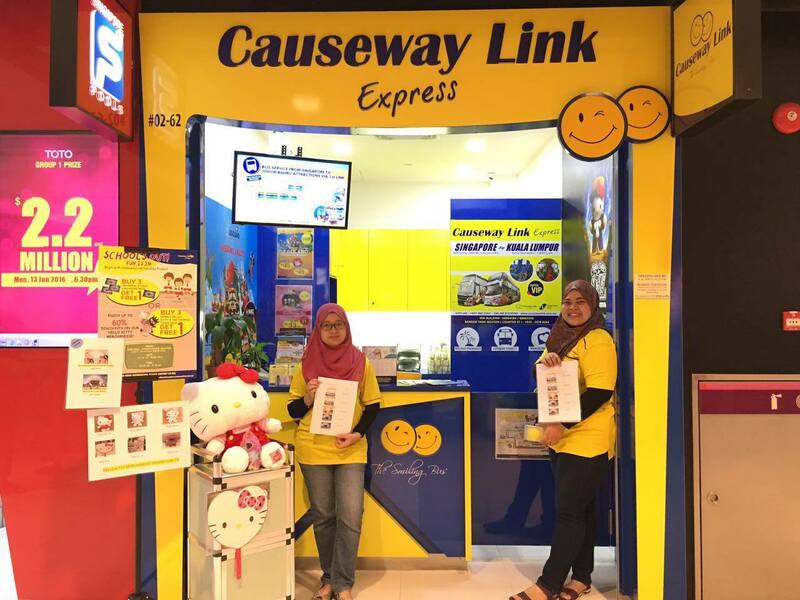 4 - 6 Mar 2016: Causeway Link Holidays promoted its products and services such as theme park admission tickets and hotel stay vouchers, in a highly successful roadshow at Sutera Mall. 1 Feb 2016: JPJ held a press conference at Causeway Link's office. The conference covered issues from road safety to cloned cars. It was a fun-filled 3 days event at Sutera Mall to end ManjaLink's 3rd year anniversary celebrations. 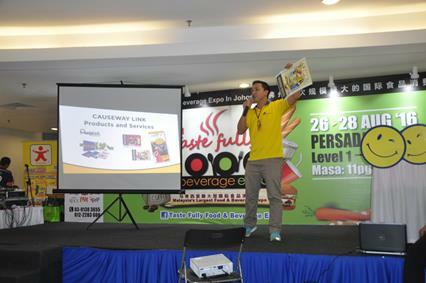 Featuring Lucky Draws and exclusive prizes, Causeway Link's little celebration was a major success. In conjunction to ManjaLink's anniversary, we also had amazing discounts when customer top up or purchase Manjalink card for the Legoland Malaysia Resort, Sanrio Hello Kitty Town and Universal Studios Singapore admission tickets. The ManjaLink cards and Sanrio Hello Kitty Town admission tickets proved to be a hit, exceeding our targeted expectations. Thanks to all the supporters who loves ManjaLink. In conjunction with ManjaLink 3rd year anniversary, we celebrated with our members, by giving great rewards. On the 15th September 2015, any purchase of ManjaLink products or topping-up your ManjaLink card at selected counters would entitled members a chance to win a pair of admission tickets to the 12th JB Arts Festival, 2015. Many performance were featured in the month and we gave out a total of 33 pairs of tickets to our lucky members. This year ManjaLink is celebrating its 3rd year Anniversary with Hello Kitty. All ManjaLink members will receive a special rate, if they purchase Senario Hello Kitty Town & Little Big Club Combo tickets via www.causewaylink.com.my website. This special promotion code will allow members to get a discount of RM30.00 when purchasing tickets.